Find Garrett College policies and procedures by visiting the Policy & Procedures page. 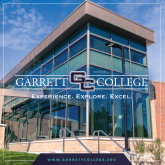 Garrett College provides an accessible, quality and comprehensive educational experience in a supportive environment to a diverse student population in both traditional and non-traditional settings. We offer associate degrees and certificate programs as well as continuing education to meet the transfer, career, workforce development, and lifelong learning needs of our students and the community. We are committed to the ongoing development of engaging, innovative, and sustainable curricula, programs, and initiatives that are responsive to a changing world. The College respects and cares for students as individuals and as members of diverse groups, and supports their aspirations for a better life. Accessibility: Make higher education accessible to a diverse student population through appropriate admissions practices, active recruitment of a diverse student body, affordable tuition and fees, financial aid and scholarship assistance, developmental studies for students who are under-prepared for college-level work, student support services, and delivery of courses at times and via media that are responsive to student needs. Student Satisfaction and Success: Create and sustain a supportive learning environment that encourages student growth and achievement through appropriate advising and career counseling, transfer and career preparation programs, experiential learning opportunities, and curricular as well as extra-curricular activities that encourage student engagement and responsibility. Educational Effectiveness: Ensure, through an emphasis on teaching excellence, that graduating students are able to demonstrate mastery with respect to oral and written communications skills, information literacy, critical reasoning and analysis, quantitative reasoning, scientific literacy, and information management; that they have achieved the requisite levels of academic and technical proficiency in their major; and that, through activities focusing on diversity and cultural awareness, they are adequately prepared to live and work in a global society comprised of diverse cultures and beliefs. Workforce Development: Support the economic development of Garrett County and the surrounding region by creating a skilled workforce through credit programs, as well as non-credit job readiness and workforce preparation courses; Garrett College will also be the provider of choice for affordable contract and customized training in response to the emerging needs of new and growing businesses. Community Service: Serve, within the scope of available resources, the specific needs of the community through partnerships with local government, businesses, community and arts organizations, schools, and non-profit agencies; and by providing continuing education courses for personal enrichment, lifelong learning, and community need. Effective Use of Financial, Human, and Physical Resources: Ensure, through the application of “best practices”, that financial, human, and physical resources are managed effectively and efficiently for optimal results. We are the college of choice for students seeking a quality educational experience. Academic excellence and scholarly achievement will be our hallmark. An engaged faculty and staff are committed to students’ success and real-world preparedness. The campus strives to reflect the diversity of the world. We exemplify integrity and strong ethical principles. We identify, prepare and adapt to a changing world. The needs of local and regional economic development shape programs and services. Providing open access to programs and services. Vesting individuals with the authority and responsibility to participate in shared governance. Facilitating an understanding of other cultures and beliefs in order to achieve a high-level of cultural competence. Contributing to the quality of life, economic and cultural vitality, awareness of local issues, and promotion of social justice. Promoting environmental awareness and serving as stewards of our environment.